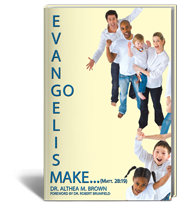 This is an instructive guide book and study aid that describes evangelism in spiritual, practical, and meaningful ways to help anyone who has a genuine interest in evangelism as a ministry. It is packed with tools designed to work efficiently in various congregations regardless of its size and location—interurban, urban, suburban, or over rural communities. In this enlightening guide, she scrupulously tackles one of the most critical issues concerning men and women’s spiritual journey. 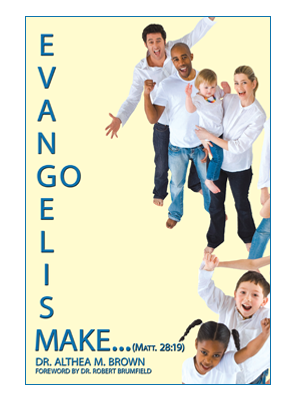 It addresses how the church reaches others, as it encourages the children of of our heavenly Father's interest to properly utilize the divine gift of outreach. Furthermore, it helps readers know more about Jesus of Nazareth and offers a way to win the lost, to redeem the wayward, and to reconcile the marginalized members of the communities. It employs various effective methods, techniques, and tools that can be useful to the church, the Body of Christ and its leaders, as they seek to fulfill Christ Jesus’ "Great Commission," that is, to make disciples—sheep of the church (members) should make other sheep (members), for shepherds (pastors) do not make sheep (members). Lastly, this guidebook and study aid is an authoritative resource for how the power of the Holy Spirit empowers believers TODAY to persuasively impact the nation. The reader will gain tools to go from being quiet and shy to evangelizing the world for the glory of our heavenly Father! This guidebook and study aid is a timely contribution in this end-time season of the church. It is a great tool to help the Body of Christ understand these two ministrations of the Holy Spirit. It is also timely in that it is a required teaching for the maturing of the saints. 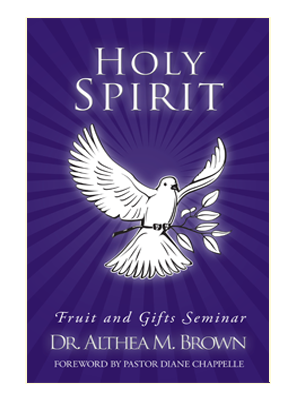 As the Body of Christ comes into a clearer understanding of what it means to be “in Christ” and to have the “mind of Christ,” the knowledge of the fruit and gifts of the Holy Spirit is a required dynamic in order to produce effective ambassadors of Christ. 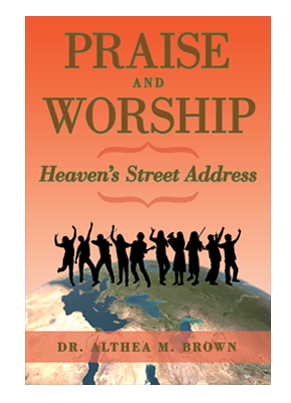 In this second edition of Praise and Worship: Heaven’s Street Address, Dr. Brown adds to her already polished, literary compositions that are, even now, are being embraced by the Body of Christ. 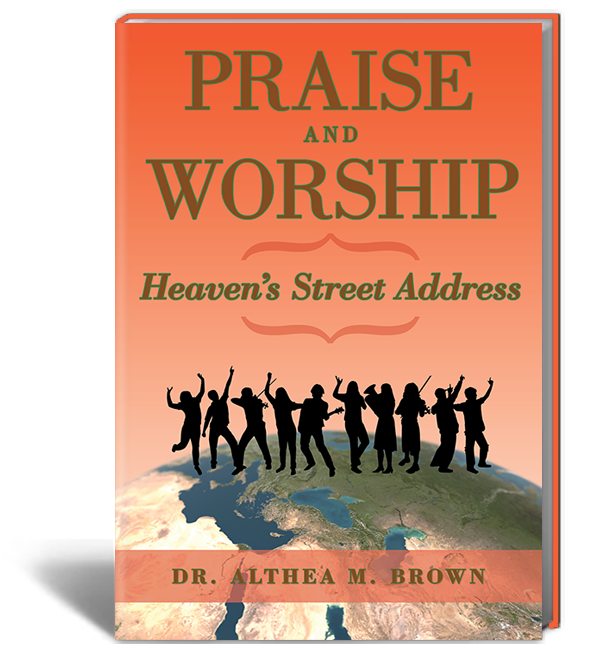 Capturing the relevance of a changing church, Praise and Worship: Heaven’s Street Address, along with her other works, Evangelism: Go Make . . . (Matt. 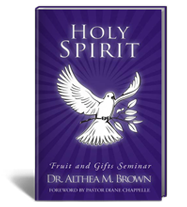 28:19) and Holy Spirit: Fruit and Gifts Seminar, offer the components vital to the expression of today’s church. These expressions must be embraced by the church so that the membership can experience Brown’s exacting ability to interpret and process praise and worship for today’s church.